DEBORAH CROMBIE: As much as I love London, there is something about Paris that gets me every time, something shadowy and indefinable. A Moveable Feast is my favorite Hemingway book (I read it for the first time in London) and I adore Woody Allen's Midnight in Paris. So when I read J.T. Ellison's essay below, I got chills. Now I'm wondering if, when I'm in London the next few weeks, I might just hop on the Eurostar and spend a day wandering the streets of Paris. Read and see if you are not tempted. Hemingway’s morbid poem aside, nothing speaks to me like the idea of 1920s Montparnasse. It’s so utterly romantic, a generation’s best and brightest living, breathing, creating, loving, drinking, eating, fighting together. And a Parisian backdrop… what could be better? The “moveable feast,” as he referred to it, has always seemed to me the height of collaborative creativity. I’d dreamed about it, read about it, but I’d never visited, not until my husband surprised me with a birthday trip in 2014 (so much for the seven years of French I took in school, right?). I fell in love, naturally. Paris is a hard city not to adore. It has a vibe of its own, like New York, and London. Unique unto itself, impossible to describe properly to those who haven’t been there. That trip, we saved Montparnasse for last. My expectations were utterly unrealistic, which I realized the moment we stepped off the Metro and were greeted by a Starbucks. Where is the romance in a Parisian Starbucks? Where were my ghosts? Where was the creative spirit I knew lingered in city’s dark recesses? We had a snack at Le Select and then wandered off to look for Sarte's grave, which we couldn't find, and decided the whole afternoon must be an existential joke, then decamped for Montmartre, and Sacré Coeur, with its lovely views of the city. I stood there, on that windswept hill, bereft. What I was searching for was down there, somewhere in the city of light. I knew it. I could feel it reaching for me. But my time in Paris was up. We had to leave in the morning. That evening, sitting at a little café we’d been frequenting all week, running the day over in my head, my disappointment with Montparnasse, and with myself for not experiencing it properly, a woman sat down a few tables away. She was so utterly and completely French I had to write her in my notebook. After a cursory description, my writer’s mind took over. Several pages later, I’d sketched a strange little story about her, and what she was doing in Paris. This became the basis for my newest novel. It seemed my brief encounter with Montparnasse had given me something after all. Back home in Nashville, as the book got underway, I made plans to return to Paris. This time, I wasn’t going to rush into Montparnasse with high expectations. I was going to spend time there, get to know it, write in its cafés, experience its shadows and light. Montparnasse is a special place. It wants to be coaxed into showing you its best side. Rushing in was never going to work. I needed to follow in Hemingway’s footsteps, to drink and love and create on site. Trip two, we were leisurely in our approach. We ate in all the restaurants in the 7th, walked the streets morning, noon, night. We bought fruit from the markets and got lost down alleyways. I spent a whole afternoon at La Closerie des Lilas. Inside the dark, silent bar, the tables all have plaques, a veritable who’s who of creativity and history, all placed by their favorite seats. I’d found the ghosts of Montparnasse, at last. I located Hemingway’s plaque, sat in his seat, drank champagne and ate olives, and existed. And then, I wrote. And as I did, I realized there was something there, in the room with us, an energy I could feel like water on my skin. I tried to capture it in my words. I got very teary and overwhelmed at one point, not like me at all. It was incredibly special. I came home rejuvenated by the experience, and finished the book, which I can honestly say was my most challenging to date. The scenes I wrote in the dark bar made it in, as did many from that week. I still feel like that afternoon in Paris turned the tide for me, both as a writer, and for this particular book. I achieved a lifelong dream, to write a book in Paris. Parts of one, at least. It’s amazing how expectations can ruin the journey for us. If we’d only stop and smell the roses, quite literally, what would we experience? It was a great lesson for me, as a writer, and as a human. To exist within the place, instead of thinking it will come to you. Do you have a special place, a place of the heart? DEBS: I know I do. London has always been that special place for me. I feel layers of time and lives in every street and neighborhood. And my favorite way of getting to know any place is to get the touristy things out of the way and then to just live, taking the pulse of things. REDs and readers, what about you? What's your special place? 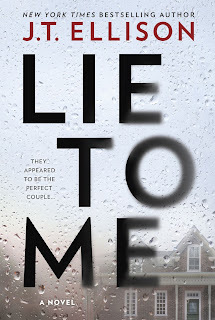 Here's more about LIE TO ME, and J.T. will be giving away a copy to one of our commenters! 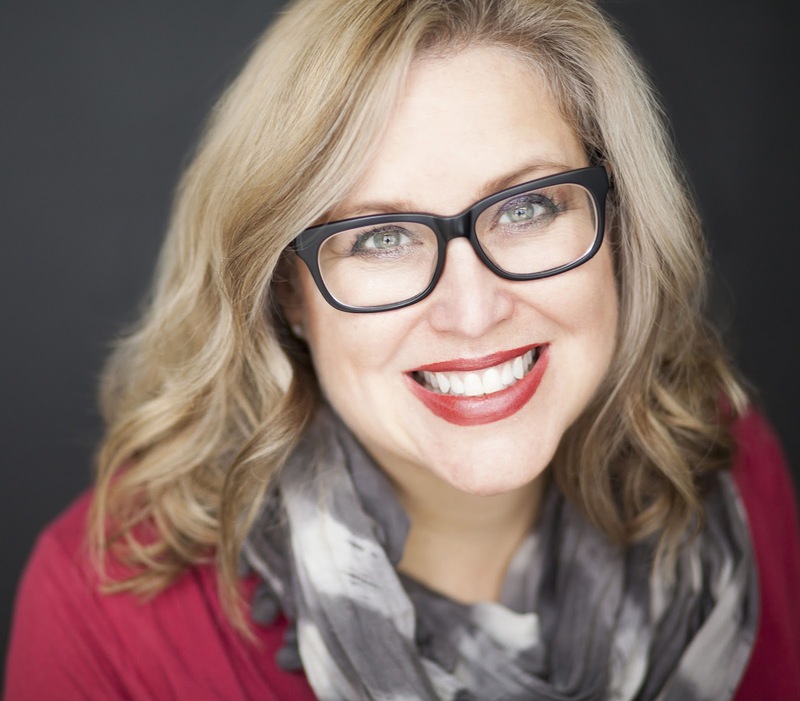 New York Times and USA Today bestselling author J.T. Ellison writes standalone domestic noir and psychological thriller series, the latter starring Nashville Homicide Lt. Taylor Jackson and medical examiner Dr. Samantha Owens, and pens the international thriller series “A Brit in the FBI” with #1 New York Times bestselling author Catherine Coulter. Cohost of the EMMYâ Award-winning literary television show A Word on Words, Ellison lives in Nashville with her husband and twin kittens. What a wonderful post . . . thank you. I enjoy traveling and seeing new places, but my special place is home. J.T., I loved “Lie To Me” . . . so many unexpected twists and revelations; it was absolutely mesmerizing and unputdownable . . . .
Joan, I absolutely love that. I'm working on making my home my dream spot, too. Thanks for the kind words on LTM, too! How did your years of French serve you? Did you try to speak ? I remember once in Paris haltingly and painfully ordering dinner in French, as the waiter semi-patiently and semi-begrudgingly took down what I said. And then, he answered me in perfect English. So eager to start your book! Cannot wait… xxxx and how was the Decatur book Festival with Tess Gerritsen? Hi Hank - thanks so much for having me! You are too kind, you know I feel the same toward you! So my French woman was so gallic -- a nose that was almost too big and beakish, brown hair in a long bob that grazed her collarbones, brown eyes, a fabulous scarf over black top and pants. She was eating steak tartare and was so focused on her companion I almost wondered if they were in the flush of a new affair. Her profile was so interesting I stared the whole meal. She was captivating and beautiful and perfect and so quintessentially French. As far as my language skills -- I actually did well, and was very open that I wanted to learn. There was only one waiter who was a butthead, the rest were open and funny and helped me get the words right. One even sent us to a restaurant his friend owned for a meal. Yes, they spoke in English, but happily worked with us on our vocabulary. I found the stores were quite happy to help us if we walked in and said Bonjour madam, monsieur. Amazing how a little effort helped. I found that you get out what you put into Paris. I put a lot in, and got a LOT out. The book sounds fascinating, J.T., and if Joan liked it . . . Yeah, well, that TBR stack is just going to have to get a little taller, isn't it? Congratulations. I have dreamed of traveling to a whole list of foreign, exotic cities, including London and Paris, so it seems kind of weird to say this, but I like Dallas. Growing up in Missouri, Dallas was the nearest really big city, but it did not feature in my aspirations. Back then I wanted to go to New York, or London, or Seattle. When I moved to Texas I lived west of Fort Worth; to folks in that rural county Dallas was a place you only went if you needed extreme medical intervention. They hated Dallas, and it terrified them to go there. But I like Dallas. I like the odd, funky historical neighborhoods of Deep Ellum and Oak Cliff. I like the contrast between the gleaming downtown towers and high dollar residential enclaves and the grit. I like the spirit of Dallas, always trying to remake itself into something bigger and better with a legitimate place on the world stage. It doesn't want to completely forget where it has been, but as a city, it wants more, so if you have a talent to offer, Dallas will let you sit down at the table and play a round or two. Most of all, I like what I get to do in Dallas. Other cities I have lived or worked in think small, and are very clannish when it comes to opening the doors of their artistic communities, but Dallas reached out and recruited me. In my years of working there I've had a hand in helping the Dallas Symphony Orchestra step onto the world's stage; helped remake a dingy section of downtown into a shining jewel; given aspiring young artists a bit of advice and a bit of a push, then seen them fly out into the world and make a go of it; and helped create a legacy that I believe will influence the future of classical music. I love the work I do, and the musicians I do it with, and I love the wider circles of the artistic community I get to travel in--real folks making real art, which makes a real, positive impact on their little corner of the city. I have no idea how the rest of the world sees Dallas, but every time I cruise past that architect-driven skyline on my way home I smile, and say, "Yes. That's my city." Yes, the politics of Texas make no sense, Ann, but we're on the tipping point between the liberal big cities and the conservative rural areas. Twenty years from now it might be a whole 'nother story. But I've got to tell you, Karen, Dallas would forget me in a heartbeat, and never even wonder where I went. Doesn't stop me from working for a better future there. Gigi, how fabulous! I love that you have a local locale as your favorite. I feel the same way when I get to Denver -- ah, home! And Nashville, too, now. And D.C., when I see it in the movies, those gorgeous long pan shots of the monuments. (I love a lot of places, obviously). The legacy you've created is wonderful. So many blessings on you for doing that. Our young artists need all the nurturing they can get, and having a local who cares enough to make that happen for them is incredible. JT - this immediately brought to mind a piece you invited me to write, with you, for Murderati in 2008. "A Virtual Montparnasse." Remember? And I thought of you, for sure, when, along with three other women, I signed a contract for a week's stay in a 19th Century house in Montparnasse. I'm glad you got back for that second trip to find the Montparnasse you were looking for. I can't wait to get there my own dernself! loved this essay, JT. I hope you have an amazing trip, Kaye! Lie to Me sounds great. I will keep an eye out for it. As far as holy places, I'm not sure I have one. None of the places where I lived growing up, or visited, have struck me that way. I have fond memories of a stretch along the Olentangy River, in Columbus, where my sweetie and I used to walk over 40 years ago, but I have no particular desire to return there. I have had a yearning to Ireland, from which my father's parents immigrated here; perhaps when I get there that will be my place. Or perhaps I should listen to Barbara Brown Taylor, who urges us to find holy ground wherever we stand. That's a lovely thought, Jim. Jim, I am so glad you mentioned finding holy ground wherever we stand. If pressed to move I don't know that I'd be able to find a spot that I'd be able to say this. This is the place. I am out on tour this week and have already stood in several spots and stared at the vistas and felt my heart expand and my breathing deepen. A deck during sunset in Tiburon, California; a small lakeside walkway in Excelsior, MN; Seattle on a sunny, warm afternoon, the pines reaching to the sky (that was today): all brought me peace and joy. Be where you are, right? I love these descriptions of Paris... and I've had that same experience where the place I MOST looked forward to on a trip disappointed, and the unexpected spots taken i at leisure were the most special. My place of the heart? Probably New York City, wandering around with my husband, eating, museuming... Imagining how great it would be to have a city like that on my doorstep. Give one another a hug from me! JT knows all the best wines, too! In vino veritas, Karen... Hugs to you, too! Hallie, what a joy it was to spend time with you at Book Passage and environs! That view!!!!!!! It was a pleasure, and I agree -- New York has that exceptional ability to give you pearls if you simply look for them without expectation. What's your favorite restaurant? I have several but I love Remi and Novitá. I have two special places, New York City, which I love. And, Ireland. I went to Ireland last year, and my sister said I'm smiling in every picture. I loved every bit I saw. I'll go back in a second. But, J.T.? I'm looking forward to those special moments in Montparnasse in just two weeks! New York is a fave of mine, too, Lesa! There really is no place like it. How exciting, Lesa! (and hi!) I think our next trip might be to Ireland. What a fabulous spot -- I haven't been since I was 18 and all I remember was green and how freaked I was being upside down, dangling over the Blarney Stone. Need to do that again!!! Oh J.T., Paris is my favorite place in the whole wide world, would move there in a minute if I could. I love that you "ate in all the restaurants in the 7th," as that is my favorite arrondissement, and I've eaten at most of them too. Your book is on my TBR list. Bonsoir, Ann! If you've done the 7th may I suggest slipping over to the 15th? There are some awesome places there -- Le Zinc has the best French onion soup in all of Paris, and Le Suffren is so delicious, with such fun views. The 15th is really one of my favorites because there are no tourists. It's real Paris. As much as I love London--and England, and Scotland--I'm with Gigi about Dallas. I love that gorgeous skyline, the soaring new bridges over the Trinity, the funkiness of Deep Ellum, the history, and most of all the sense of energy. Dallas is a "we can do it" city and you can't help but get a charge from that. Thank you. I'm glad I'm not a lone crazy person in this. There are such possibilities in Dallas! Paris, I thought, would be my own personal magnet city, the one that pulls me back, again and again. And it is; I've been lucky enough to go there four times, and could go again in a heartbeat. The Jardin de Luxembourg in the spring, when all the hyacinth are in bloom, and the air literally smells purple from their intense fragrance. That sense of assault of the eyes, from the beauty, everywhere, of ordinary things made extraordinary. Even the lampposts are works of art. Three different friends have lived for months at a time in Paris, soaking up the culture, tasting incredibly fresh and delicious local foods, and trying on the role of Parisienne. I'd love to have the chance to spend concentrated time there. And after spending nine days in an Italian hill town last summer, I yearn to be a bit more of the fabric of a place when I travel. The experience is made more complex than when visiting more casually. New York City will also always have my heart, but for different reasons. No matter how many times I'm there I know that it can never give up all its secrets. Because, just like Paris, the centuries of layers, like an onion, can never be pulled back completely. Karen, hi! Good to see you here. May I suggest reading Eleanor Brown's new book A PARIS ALL YOUR OWN? It's a series of essays by authors on their Paris stories, and is utterly delightful. And a beautiful metaphor for the secrets of cities! I went to Paris on a student tour when I was in college. It was wonderful, but we only had two days there and just went to the tourist sites, which, of course, did not disappoint, but I feel like we missed out on a lot of the charm and the je ne sais quoi of the city. We did have one late afternoon free where we could wander, and that was when I enjoyed it the most. A lovely man in a perfume shop who showed us how to apply perfume (spray a cloud and walk into it), and didn't laugh at my high school French, but encouraged me to use it. Walking down the Champs Élysées and just enjoying the people watching and the beauty surrounding us. Actually, of the 6 weeks spent in Europe, every day of which was absolutely wonderful, most of the best times were when we got to explore a city, or get lost, on our own. Celia, how fabulous! I love the cloud of perfume trick -- I'm allergic to many on my skin so I'm going to have to try this. My grandmother used to do it that way -- seems she knew something! And I love how monsieur encouraged you instead of discouraged. I think that's the key to a great experience overseas -- someone who wants to make your trip special and help. I hope you get back again soon! J.T., your experiences in Paris and your book both sound wonderful. I used to think that I didn't care about going to Paris, but in recent years, that has changed. So many great stories I've read take place there and so many people in the book community I know describe their trips there as magical. I would now love to go. Kathy, it's such a special place, and each person seems to have their own experience with the city, too. I hadn't gone because I was afraid -- afraid they'd be rude, afraid I'd embarrass myself, afraid of so many silly things. And none of it was true. It's really affected my future trip planning, too! I felt so at home in England this spring I kept telling my husband that we should look for our retirement home there. I would stop in front of property agents offices and look at the advertisements. Lesa, my husband told me that he had never seen me so happy as I was on this trip. This last year was a bad one, with similar bad years since 2010, family members dying, etc., so this trip was my bucket list trip and it was wonderful. I still dream about moving there. Teri, we are looking for that spot, too. I don't know if I can settle on just one place of the heart, but I'm trying!!! I'm so sorry you had a rough year but so glad you were able to find some joy, too. Blessings! A city which captured my heart for many years since I lived there for most of my life and pine for it, although, I will never return is Montreal. Charming, fickle,historic, fascinating and wonderful. Ah, petite, Montreal is such a lovely place -- I also fell in love with Ottawa. It's like going to Paris but so much closer. I loved how multicultural it was -- and I met my husband three days after I went, so it does hold. special spot in my heart! A small, appealing and interesting town which we visited on a holiday years ago became my escape. Whenever I become upset and depressed due to medical issues which have plagued me for 5 years I envision this unique town perched by the sea and long to be there again. Levanto beckons. Levanto! Spezia was the one place I didn't enjoy my meal in Italy, but that's because the fish had a head, tail, aspic, etc., and I'm a big wuss. But the boat rides in that area are so lovely! I'm so happy you have a spot that you can escape to, even if it's only in your mind. Feel better soon! Bex, you sound like a visitor, which is such a different mental space than traveling. Oh, and you've gone to so many places I've only dreamed of. Working on that bucket list! There is no one place for me, but London is a top contender. It's one of my favorite cities, much more so than Paris! Madrid, the Big Island, Capri and Fiji have all been happy places. JT, do you have plans to return to Paris? Do you worry that it won't hold up on future visits after you had such an amazing experience? Oh, I love London. So much fun, so familiar yet different. One of my favorite spots. And yes, I will go back to Paris. I think I know how to find the magic now -- it's thee to be experienced if you are open to it and readily travel off the beaten path. Secret Paris spots are so much fun to find! Halifax, Florence, and London all hold special places in my heart. I love what you wrote about Paris, J.T., and I'm looking forward to reading LIE TO ME. Thank you so much, Jenn! I wasn't to go to Novia Scotia so much -- I need to do that soon. Hmm.... maybe THAT is the next trip! 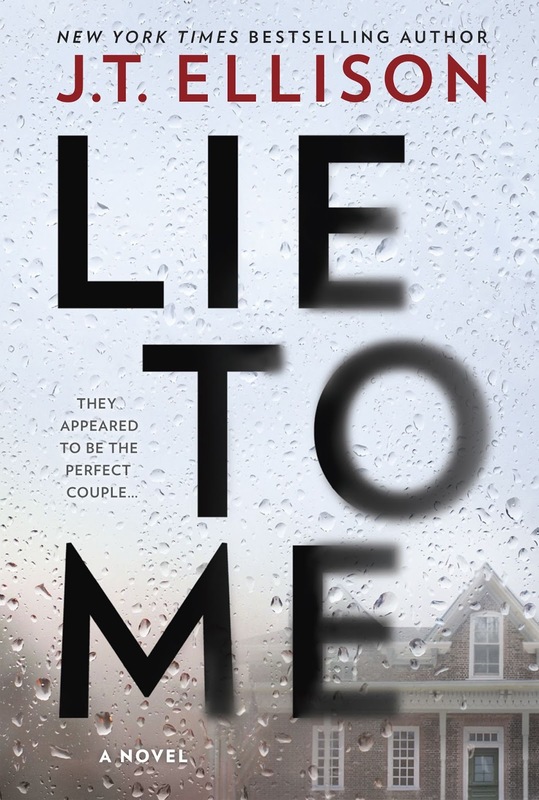 Hope you enjoy LIE TO ME! Hmmm, I think someone's trying to block my post so they have a better chance of winning the book. :-) Let's try again. Looking forward to the book, as I've enjoy many of your other books, J.T. The place of my heart, as blog friends and followers of mine know, is at about 7,000' elevation in Wyoming's Bighorn Mountains. But I'm blessed to be able to often visit my s-i-l and b-i-l in France, first in Provence and now in the Vosges Forest. I love both places. As a native of Colorado, I so hear you on Wyoming. It's what Colorado was thirty years ago, still unspoiled in many ways. I was there last summer after a trip through the Badlands and it was remarkable how beautiful it was. I like coffee shops. I have always loved coffee shops, even before laptops, WiFi, or smart phones. I confess these days that I frequent Starbucks, either at home or in whatever city I find myself. I grew up in New York City but now I am a fan of my adopted home town of Doylestown, PA. I actually love all of Bucks County or even the towns just across the Delaware River. Coffee shops are no longer the place I read. (Too enchanted with the free WiFi (using a VPN). But I will spend hours people-watching, and sometimes making up stories to fit the faces. I look forward to reading the book but I am amazed how tall my "to be read" list can become. David, I was literally in a Starbucks in Seattle this morning. I felt compelled.... But I hear you -- a small indie coffeeshop or a big commercial one, both give such an amazing plethora of people to watch. Great choice in PA, too! Y'all are so amazing!!! I promise to be back tomorrow to answer and converse. It was a long day at the fabulous Book Passage mystery conference here in San Fran! Sweet dreams-more tomorrow!!! This post makes me want to visit Paris so badly! Such lovely descriptions. For me, South Korea is the place of my heart because it captures the years of my life that represented freedom and adventure. I spent over three years teaching English there after graduating from college and it was a magical time. The places that are especially important to me are Yesan (the small rural town I lived and taught in), Seoul (which I visited almost every weekend and had such an amazing energy), and Busan (a lovely port town). Memories are such a gift, though! And thanks for bringing the first Asian place marker! I've never been, and I'm not sure I want to go, but I would love to see a few of the significant spots. One day, perhaps!